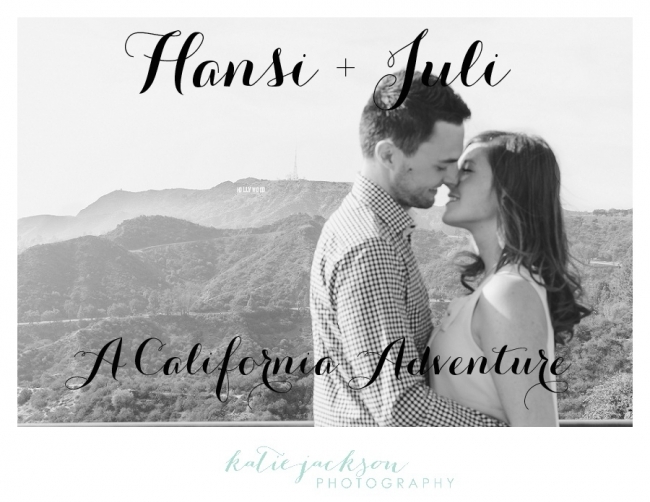 Earlier this year, Hansi and Juli planned the most epic California Adventure EVER and they asked me to take a few pictures of them at the start! They came all the way from Germany, so they wanted to see everything California had to offer. They started in Los Angles, then worked their way up the coast to Santa Barbara and San Francisco and then started to move inland to Yosemite, The Grand Canyon (in nearby Arizona), Las Vegas (in nearby Nevada) and then headed back to southern California to visit San Diego and then are ending their trip back in Los Angeles. Sounds amazing, right? I’ve been following their journey (Facebook is the best for that) and it has been so wonderful to see them enjoying everything this side of the country has to offer. 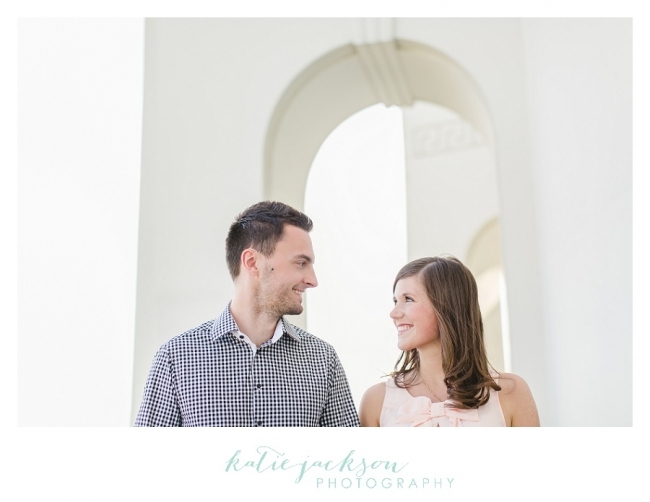 I shot these about 3 weeks ago and they are still in the middle of their vacation! They are both so so so nice. Europeans get TONS of vacation time. Thus a 4 week California vacation just because. I am so jealous. I saw the shirt that Juli was wearing and it had a big bow on the front (see below). I saw her and I said “I LOVE bows. Your shirt is so Kate Spade. I LOVE Kate Spade. Do you like Kate Spade in Germany?” Juli then looked at me and grabbed my hand and said “I loooove Kate Spade”. Then we became fashion bffs. 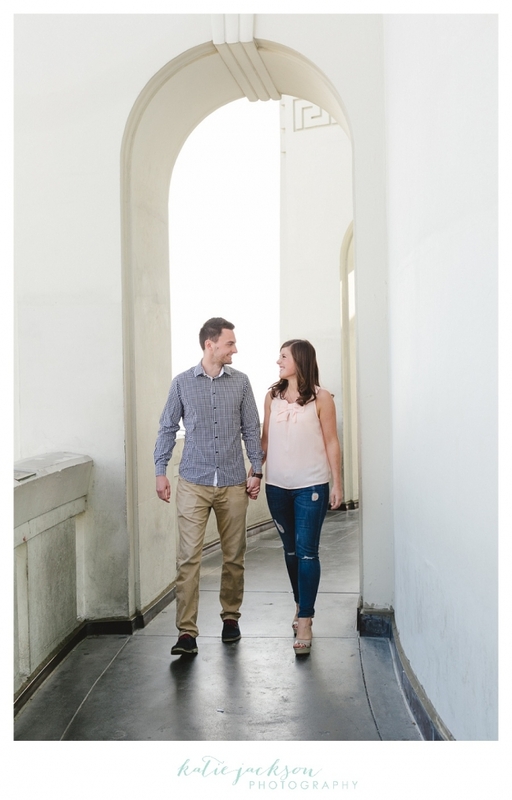 We started their session at the iconic Griffith Observatory and then headed to Santa Monica for some beach shots. Unfortunately, it was like THE ONE gloomy day at the beach (the sun has not been cooperating lately) but these two still rocked it out. I hope you enjoy the beginning of their California vacation! The classic Hansi/Juli pose. (They are known within their group of friends for their epic grins).